Enterprises continue to implement or evaluate shifting services which were typically hosted in the branch into the cloud. The reasons include creating a leaner branch, taking advantage of increases in broadband Internet bandwidth and reduced complexity and cost. 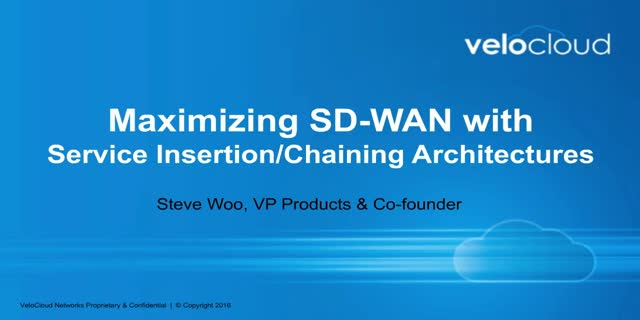 This webinar will take a deep dive into the Cloud-Delivered SD-WAN architecture for service chaining. You’ll understanding the architectural differentiation and benefits of this approach and why it offers a superior model for delivering secure, reliable, and high performance service chaining.